TheContrarian The problem was each time dividend was paid the market price adjusted downwards for the dividend and couldn't go up. TheContrarian Don't be surprised if chairs are no longer provided in the forthcoming EGM. Hahaha. TheContrarian Compared to Daiman and Selangor Properties' recent SCR, MAA's Offerors have a much lower shareholding percentage and face greater resistance from the greater number of minorities. The Offerors have SO MUCH TO GAIN from the SCR as their MAA shares will triple in value to RM3.53 after the SCR exercise. By doing an SCR, the Offerors don't even have to spend a sen to take over the whole of MAA. No matter how tough it will be for them, it is certainly they are determined to win because if they fail, someone might launch a hostile takeover as MAA is cash rich and over 60% of the shares are in the hands of minorities. ivan9511 After Maa private act . I feel maybe parkson can do so ? Mr calvin.do you know parkson boss is still big shareholders. I wonder is you sapu parkson share parkson got many value asset inside long time ago and still many cash net cash . I wonder they can suddenly private at 1 ringgit like MAA. Why I said so because the Parkson boss attitudes seem will die with parkson I feel he want the parkson very much like his son. If base on cash Parkson is much much better than talamt and puncak. After I give tip maybe parkson will limit uppp back. After parkson join the online shopping system i feel the future is super than con man bjc bjland . For parkson no hope i think. But for bj corp & mui bhd still got high hope! TheContrarian Not bad, closing at 1.03/1.04. maybe held during early June 1st week. theong Today chart look very interesting.Will there be new break up? TheContrarian MAA price will be flat for the whole week unless SCR price is revised. Isn't it worth RM2 now, since you value via NTA so strongly. minority shareholders. God bless you. TheContrarian Choivo, you didn't read the announcement that after the SCR exercise MAA's NTA pershare goes up to RM3.53? It's simple mathematics. TheContrarian Choivo,do you understand what's a Selective Capital Repayment exercise? You don't seem to have a clue. TheContrarian Navinshah, that's why I have been saying you long-term minorities should gather a group and engage the Offerors and BOD. NavinShah Will stay together. I will vote against this SCR. TheContrarian By the time the EGM is convened it would be too late because dissenting minorities would probably be outvoted. TheContrarian If dissenting minorities lose at the EGM their shares would also be complusorily acquired by the Company via the SCR exercise. Cipta Bursa why delete my post? BURSA should make all companies compulsory disclose full report from "Independent" Adviser on all SCR, Privatization, Merger etc since all shareholders pay the fee. And Like other industry practice, the report must have qualified competent person name and signature. TA_trader Cipta, i feel that your comment did not break any rules and should not be deleted. I had experienced similar incidence as well. Anyway any idea when will the independent adviser be issuing their opinion? Cipta TA Trader, BOD has accepted the offer which proofed that they had received the report. TA_trader Shouldn't the report be available to the public especially to the minority shareholders as well? TheContrarian Report will be sent to minority shareholders after EGM date is set. TheContrarian At the moment the SCR is pending SC approval. TA_trader Appreciate for the clarification/update @ TheContrarian. TheContrarian Suddenly very quiet here. MAA price has inched up to 1.04/1.05. TheContrarian Deeply undervalued stocks? Plenty. Two weeks ago I bought Ekovest at 50 sen, today I sold at 64.5 sen, almost 30% gain within just two weeks. At 50 sen few wanted to buy. Same with MAA when it was 50 sen not so long ago. Of course MAA now has limited upside but I am not selling yet because I feel there's no immediate downside to MAA shares. TheContrarian Star wrote an article on the SCR in page 3 of the Business section today. Accordingly, we recommend that the Entitled Shareholders VOTE IN FAVOUR of the Special Resolution in respect of the Proposed SCR to be tabled at the forthcoming EGM. The Entitled Shareholders are advised to closely monitor the market prices of the SCB. Shares and evaluate the SCR Cash Amount before deciding whether to vote in favour of or against the Special Resolution in respect of the Proposed SCR. If the Entitled Shareholders so wish, they may also consider disposing of their SCB Shares in the open market to realise their investment in the SCB Shares in the event the market price is higher than the SCR Cash amount, after taking into consideration the associated transaction costs involved and assuming that there will not be any revision to the SCR Cash Amount. Suiwah Corporation Bhd (Suiwah) is another Bursa Malaysia-listed company in which the controlling shareholder is undertaking a selective capital reduction (SCR) exercise to take the listed entity private. Just recently in January 2019, long-time property outfit Selangor Properties Bhd was taken private by the Wen family at RM6.30 per share. According to page 41 of the circular issued to shareholders dated 8 April 2019, the offer price of RM2.80 cash for each Suiwah share owned by Entitled Shareholders represents a discount of between 43% and 46% to the estimated value per share of RM4.93 to RM5.20 using sum-of-parts valuation, said independent adviser (IA) Mercury Securities Sdn Bhd. Apart from making capital gains, a key objective of stock investment is also about investing in the future of a company. Shareholders in turn will reap the benefit if the company manages to perform well by allocating and putting resources on hand to good use. Having said that, often there are cases of controlling shareholders deciding to take the companies private at a steep discount to the true value of he companies’ net assets. We believe shareholders should be given a fair value for their investment as a discount of between 43% to 46% of the estimated value per Suiwah share is a steep significant discount. To put things into perspective, the offer price of RM6.30 per Selangor Properties share represented a discount of 23.91% to the estimated RNAV per Share of RM8.28. Due to Suiwah’s historical share price performance, liquidity analysis and the absence of alternative proposals, the IA deemed the RM2.80 offer price being a reasonable one. The offer price is higher than Suiwah’s daily volume-weighted average market price for 94% of the total market days over the past 10 years. Suiwah principally engages in three business segments namely retail, manufacturing and property development. Its retail segment encompasses the operation of is supermarkets, hypermarket and departmental stores. It currently operates six shopping outlets and 12 convenience stores mainly in Penang island. It also designs and manufactures flexible printed circuit boards and substrates, and develops and invests in real estate. The offeror Suiwah Holdings Sdn Bhd (SHSB) said the proposed SCR presents an opportunity for the Entitled Shareholders to exit and realise their investment in Suiwah. The offeror opined that the listing status of Suiwah brings little benefit to the Company and its shareholders. Firstly, shares of Suiwah have been thinly traded and illiquid in the past. Secondly, it has not undertaken any major corporate exercise or fund raising activities through the capital market for the past ten years. Thirdly, Suiwah plans to spend millions in capital expenditure on the retail, manufacturing and property segment. This will consequently translate into high borrowing cost and reduced profitability. This will also result in higher gearing (page 7). Given the upcoming expansion activities and capital required, it is puzzling to note that SHSB has decided to privatise Suiwah. On the contrary, SHSB’s listing status would make it easier for it to leverage on the listing status of the Company to raise funds for future expansion activities. MSWG will be attending Suiwah’s EGM on 30 April 2019. Cipta Since independent report will send to all shareholder, i see no reason MAA BOD can have it first hand and delay a few weeks to minority. Do you think this is a fair exercise.? Cipta This is not about the procedure. It is about the rational of procedure and timing. jamesooi MAA CASH at 31/12/2018 in the account RM251,133,000-00 and Trade and Other Receivable RM103,366,000-00 = RM 354,499,000-00 = RM1.26 per share. All other MAA assets is free. SCR at RM1.10 per share. What a stupid offer and the Management has no Business sense to accept the offer price. When a company goes for IPO , the company is asking for high PE or above NTA on the account. 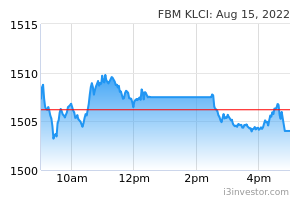 But when they want to take private, the company is offering the stupid price like RM1.10 per share. theong Should heightlight and complaint to SC. TheContrarian So eerily quiet here. No hope to get higher than RM1.10? balvin71 After SCR, where shall we put our funds? Maybe we can use this thread to discuss potential stocks. TheContrarian Mr Balvin, you only invest in one counter all these years? balvin71 Nope, also invest elsewhere. With most of my funds in MAA. People who invested in MAA, I feel have the same investing strategy, looking for good dividend yield, under value etc. So was hoping we could use this platform to look for the next MAA. Where returns of a couple hundred % in a few years. theong Very hard to get another company with pay high dividend at the same time under value and good management. huntertee When is the AGM? balvin71 Last year was 5th of June. I expect it to be around that time. huntertee Sorry i am not so well informed on this topic. What are the probable outcomes of this AGM? The minority shareholders have to accept the offerer’s price of RM1.10? They might offer higher? Other than that? NavinShah Hope for a better price is most probability. Hold on to your shares. OK.
TheContrarian Nothing will happen at AGM, voting takes place at EGM.